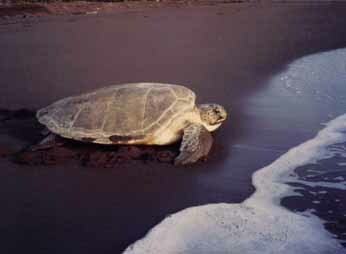 Thus begins the adventures of Treader, a green sea turtle that hatches in the black sand of Tortuguero. The place is real, as is Aves Island, a major nesting ground that is sinking into the Caribbean. The prayer, above, is the nesting prayer of Treader’s mother. I worked with green turtles for two summers. You cannot track the giant females on the dark beaches to their secret excavations or release the tiny, determined hatchlings into the sparkling waves without the profoundest respect for these gentle creatures. In my novel, the glories of nature are displayed and, alas, the forces stacked these ancient reptiles. The Tortuga Madre, the great mother from whom all turtles are descended, is of my own making, yet there is a hill overlooking the plum of the river north of Tortuguero that some say protects the clutches of eggs buried by her daughters. The novel is anthropomorphic; yes, the turtles talk. They move through their own crises unaware of the crises among the humans who share their ancient nesting ground. Both parts of the story come together on one eventful night, on the black sands of Tortuguero. One part—the human part—is based on a true story. 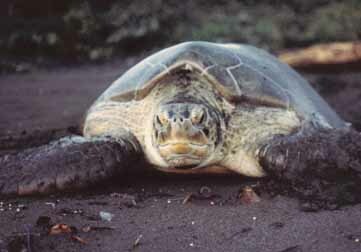 The two pictures of turtles were taken in 1985 at Torguguero. Costa Rica. 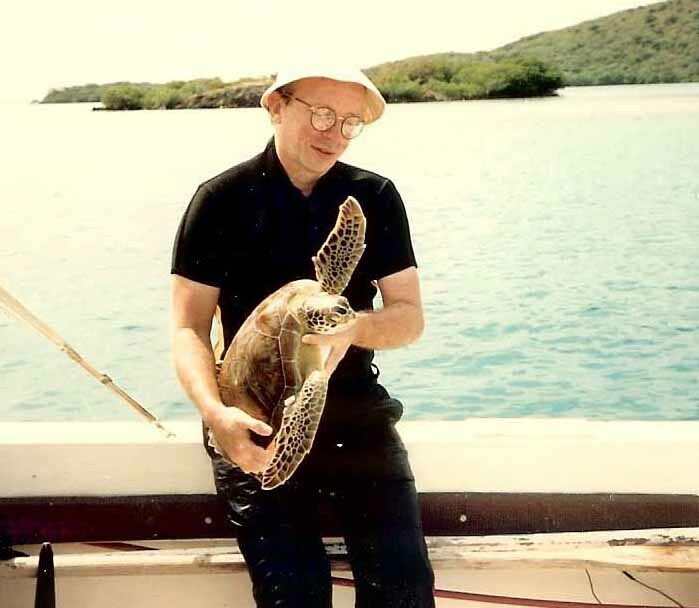 The one of me and the turtle was taken off Culabra Island, near Puerto Rico probaby around 1987.